The members of The Thoughtful Home by JWhitaker Designs are made up of the brightest minds in Technology and Business. The combination of technology knowledge, organization, process, management, and business operations allow The Thoughtful Home to provide solutions that encompass the end users needs in a budget threshold and time managed fashion unmatched in the industry. The Thoughtful Home offers full home automation and smart home design and installation, intelligent lighting control and comfort solutions, home theater, outdoor entertainment, multi-room audio and video, security and safety options, Hi-Res audio,pre-wire, central-vac, and even pool and spa controls. 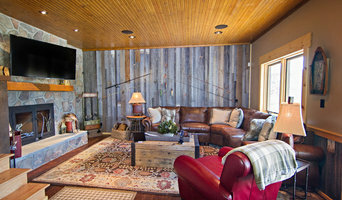 Joe Whitaker of The Thoughtful Home by JWhitaker Designs currently sits on the CEDIA Board Of Directors. The Thoughtful Home abides by CEDIA’s Code of Ethics and the standards and teachings set down by this leading trade organization. CEDIA is an international trade association of companies that specialize in designing and installing electronic systems for the home. As the home technology industry’s leading resource for education, networking, business and technical resources, and more, CEDIA is focused on providing industry professionals with the tools they need to run competitive and profitable businesses. Walbrandt Technologies is home to St. Louis’ only High Performance Home Specialists, offering a new generation of home technology design, installation and support. Comprised of experts, each with over 15 years experience in the custom Home Theater, Home Automation and Information & Networking Technology industries, we are able to provide a level of quality and service not previously available in St. Louis. The SOHO Shop was founded in February 2008 by Bryan Jefferson and Coy Reeves in St. Charles, MO around the kitchen table. Our goal started as a very simple one, to find a technology that would make our friends envious of our homes. The rest of our goals and company culture aspirations were written on the back of a McDonald’s bag that hangs in the office today! We began blogging about our experience with our new technology and the things we were doing and testing – and for some reason, people began calling us for assistance and wanting us to bid their projects. So we formalized a website, purchased business cards, got a phone number, and we were in business! Still designing and staging systems in our home, we grew rapidly, adding our first employee in December 2008. We continued to grow through the housing downturn, and in May 2010, we officially opened our first showroom and operational facility. During 2010 we doubled the size of our company and added our first dedicated sales director. In 2011 we moved to our current location in New Town St. Charles, and opened our third branch in Des Moines, IA. We continue to have growth by following one simple mission, “make our customers’ everyday life safer and simpler through the intelligent use of smart technology.” Our promise continues to be: When you work with us, you know you are doing business with a company that has the technological experience to design and install a state-of-the-art residential or commercial technology system, and the business acumen to be grounded to service the system years from now. We are a veteran-owned small business whose management team brings together decades of experience from various disciplines. We are very excited to make you part of our family. Welcome to The SOHO Shop! 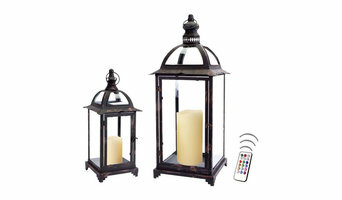 Avion Innovative Products LLC markets trendy home decor accessories. Our product focus is flameless candles, candle lanterns, candle holders, vintage studio and nautical hand made marine tripod floor lamps. in 2007 Avion designed a Bluetooth Smart App for iPhone. The X10 App and controller automates lights, appliances and devices with large icons and picturetouch menus. Shipping now. I’m Jordan Stipes, Owner of SnapPro AV -- and a former executive of an international audio visual company. I started this company understanding that people need technology, but it has to be easy to use everyday. My simple pledge is to provide our customers with easy to use, cost effective, modern and smart technology upgrades that will make everyday life at home - simple and convenient. Every installation we do is done with the highest level of integrity and diligence. No matter what the requirement, we will deliver smart technology solutions to your home that simply works and fits your budget! We look forward to the opportunity in doing business with you and helping to improve you and your family's quality of life through smart home technology! Welcome to Creative Audio Video and Automation. 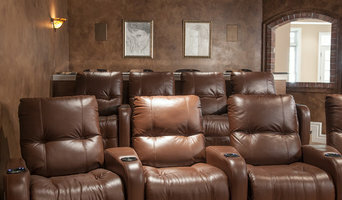 We are your premier St. Louis, MO Custom Home Theater, Audio Video, Security/Alarm, and Automation dealer. We are locally owned and operated bringing over 45 years of combined experience in the industry offering the very best in service, expert advice, installation and top product lines. From our initial meeting to the press of a single button on your custom programmed remote control that brings your new system to life, our entire process is tailored to fit your specific needs. We work with you closely to learn about your home, specific needs and expectations. 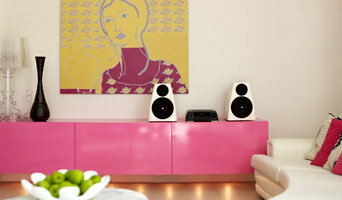 We discuss the different variety of systems and possibilities that offer the latest in technology. Once you decide on your system, we take care of the rest. Leaving you free to sit back and enjoy the show. Level up specializes in Home & Business Automations. Our custom systems give you the ability to take your home or business to the level of smart technology. Expert Computer service or any Audio/Video service- Wherever You Need It! 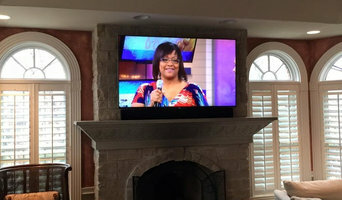 We offer all major brands in Home Entertainment as well as free estimates. Call for your quote today. Whether your personal laptop just crashed , you need to configure a small business network or if you want the best Home Theater setup, True Solutions can help. Our team of certified technical professionals can be at your service almost immediately. Bring your system to our place or we'll come to you! Music For Pleasure has been in business since 1988. We have been in our current location (in Webster Groves) since 2001. Music For Pleasure began and continues today as the St. Louis Metropolitan area’s high performance audio destination. We have continuously received “Best In St. Louis” awards from River Front Times and St. Louis Magazine. First and foremost it is our people and our passion for music. Most of us either play or have played an instrument at one point of our lives. We listen to and judge the equipment we decide to carry based on if it conveys that “just like being there” feeling. Whether it is our entry level or our most elaborate equipment, you can be assured that you will get goose bumps when listening to your favorite tunes on a Music For Pleasure system. Fielder Electrical Services, Inc. has been a family owned and operated electrical contractor for the St. Louis Metro area since 1987. We provide electrical services to meet a variety of needs- from the simplest of projects to middle and upper-end custom home and remodeling projects, as well as commercial and industrial applications. There is no project too big or small. From something as simple as wiring a new light fixture to large, commercial remodels, we have a great staff of professional electricians that can meet every need. They are supported by a knowledgeable administrative staff, available during our office hours of Monday-Friday, from 8am-5pm. Hi-Definition Entertainment is based on 20 years of electronics experience, with 10 years exclusively dedicated to home theater installation. And while many may offer home theater services, we built the business around perhaps our best capability: to build a system to a specific budget and complete the project at or below budget. From basic installations to fully custom systems. No job too big or too small! We specialize in Directv, Dish Network, and Home Theater Systems. We have been proudly serving the St. Charles, St. Louis, Warren and Lincoln County, MO area since 2001. We install Dish Network, Directv, home theater systems, pre-wire for new construction, and surveillance systems. We design systems for your particular needs and not ours. We will design a system for you if your on a budget or you can go all out, your the boss!! You tell us what your looking for and we'll do the rest. We are also licensed and insured for your protection. We have over 25 years combined experience!! Call us today to set up an appointment. Home media specialists not only can design the seating and decor for your dream home theater, but most of them can help you find specific media control options, conceal your television and various accessories, set up optimal seating, choose and install ideal lighting, and help create the ultimate viewing environment. Some of these Missouri professionals work entirely on their own, while others work with subcontractors to get the job done. Here are some related professionals and vendors to complement the work of home automation & home media: General Contractors, Interior Designers & Decorators, Paint & Wall Covering Dealers, Furniture & Accessories, Specialty Contractors. Find a home media designer on Houzz. Narrow your search in the Professionals section of the website to St Louis, MO home media designers. You can also look through St Louis, MO photos by style to find a room you like, then contact the professional who designed it.